Consulate General of the Republic of Serbia in Chicago wishes to inform all Serbian citizens that Consular Days will be held in Los Angeles on December 13th and 14th, 2014. On December 13th, a concert organized by the Serbian Church will be held in St. Wilfrid of York Episcopal Church, 18361 Chapel Ln, Huntington Beach, CA 92646. Following the concert the representative of the Consulate General will be available to meet with Serbian citizens and all interested parties. On December 14th, the representative of the Consulate General will attend the liturgy at St. Sava Church in Los Angeles and following the services will have the opportunity to meet with members of the Serbian community in Los Angeles. Consulate General of the Republic of Serbia in Chicago wishes to invite all members of the Serbian community in Los Angeles and the surrounding area to come to the Wilfrid of York Episcopal Church on December 13th or to the St. Sava Church on December 14th, 2014 and get an opportunity to make a direct contact with the representative of the Consulate General of the Republic of Serbia. 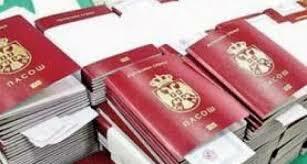 They can find out more information about travel documents, acquisition of citizenship of the Republic of Serbia, how to certify documents, customs regulations and other issues within the jurisdiction of Consulate General of the Republic of Serbia in Chicago. The representative of the Consulate General will be happy to answer all the questions within the responsibility of the diplomatic-consular mission of the Republic of Serbia in Chicago.